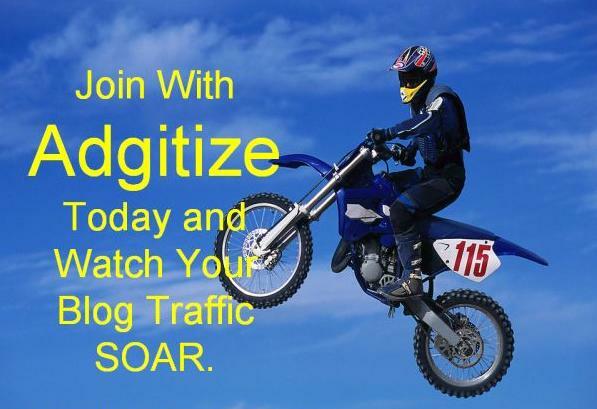 I have a total of five blogs and all of them are registered in Adgitize. It was last two weeks I think that I started receiving email from Adgitize informing that my blogs have been turned off. My first blog to be turned off was my Entertainment blog followed by my Photo blog and lastly my Music blog. The only surviving blog is my personal blog and this one. Not Enough Content - Just a whole page of banner ads plus one line sentences and sometimes just a whole page of banner ads. Sales Page - Just a sales page for a product or service but no real blogging. Sales Page - Affiliate Sales page no real blogging. Links Only or Download Pages Only - No mention of what the links are there for or why I should download. Inconsistent Blogs - Bloggers who are subject matter experts on multiple subjects. These are detailed in the industry for years kind of articles not just a I had a bump on my arm and my doctor told me to put ice on it. Not Enough Content - Images plus one line sentence or no sentence. Plus, the blog owner didn't take the photos. These were mostly celebrity blogs. Not Enough Content - Images or videos plus one line sentences or no sentences. Only Do Product Endorsements - No blogging just product endorsements. Not a Blog - News Site, Forum, News Aggregator, other. One of those reasons was definitely a ground for my blog to be turned off. I just hope Entertainment blogs should be an exception since we gather information from reputable entertainment sites. And I don't copy and paste. With this aftermath, my statistics have dropped and my leader board ranking has fell to number 3 from number 1.